NEW YORK—Wilbur Ross Jr. is not like the other Wall Street high rollers like Donald Trump and Carl Icahn. He is a soft-spoken, well-mannered, and impeccably dressed gentleman, and has succeeded on Wall Street, becoming a billionaire in the process. Unlike the classic private equity raiders, Ross has managed to save jobs during these turnarounds, working closely with the unions. “In our work, which is mainly dealing with distressed situations, we’re able to do good and do well for ourselves at the same time,” Ross claims. More recently we took small positions in Bank of Cyprus and in Eurobank in Greece. Those so far have not worked out as well as the others. EPOCH TIMES: Can you talk about your investment in Greek banks? Eurobank for example is down 90 percent since you invested in 2014. MR. ROSS: We’ve done very well in banks. We did about a half dozen banks here in the United States during the U.S. banking crisis. Then when the United States became healthier, these all went public and many of them we’ve sold out of. We then went over to Europe. We went into the Bank of Ireland and that worked very, very well. We went into Virgin Money, which has also worked very well—it’s now listed on the London exchange. We’ve partially exited that position. Then more recently we took small positions in Bank of Cyprus and in Eurobank in Greece. Those so far have not worked out as well as the others. But frequently, for example when we went into bank of Ireland, one week after we closed on our investment, the stock went down 20 percent so it’s not unusual for banks or other companies in the early stages of turnaround to act very badly for a while. That just comes with the territory. But on the fundamentals we’ve very happy with what’s going on at Bank of Cyprus. You may have noticed Euromoney magazine every year ranks who’s the best bank in Europe and most improved bank and the best CEO. We got best bank and best CEO for the Bank of Cyprus this year. So while the stock has not been good the internal dynamics have been making a lot of progress, so I’m happy with that. EPOCH TIMES: In Greece, the politics didn’t go quite as planned for you. MR. ROSS: The Greek situation is more complicated. We went into Greece when [Antonis] Samaras was the prime minister. And I felt that he was making and implementing the kind of reforms that were very much needed; freeing up the labor market, cutting down the barriers to entry in various professions, modernizing the whole economy and reducing the whole dependence of the population on the government. Tsipras now has become a real devotee of reform. Then he made a political mistake; he thought he would strengthen his political base by prematurely calling elections. He did call it in February and along came Mr. Tsipras, who promised people everything imaginable and Tsipras defeated Samaris and as everyone knows that lead to a bunch of chaos in the country. Tsipras now has become a real devotee of reform. I think he is quite serious about living up to the new deal that he has made with [its creditors] what we used to call the Troika [the European Commission, European Central Bank and the IMF], now it’s called the Quadriga I guess, with the four entities [European Stability Mechanism]. So I think what happened in Greece is more of a delay in the reforms than the elimination of them. EPOCH TIMES: Is there still any value left in Eurobank for you? It would have to go up 10 times for you to just break even. MR. ROSS: Oh sure, but those are very volatile markets, emerging markets are very volatile. As I said, if it gets through the asset quality review and the stress test [by the ECB], and it still stays at these levels, we would just average down and bring down our average costs. EPOCH TIMES: So you still believe in the story? MR. ROSS: I do, assuming that the assumptions used by the ECB are reasonable assumptions and not rather draconian ones. 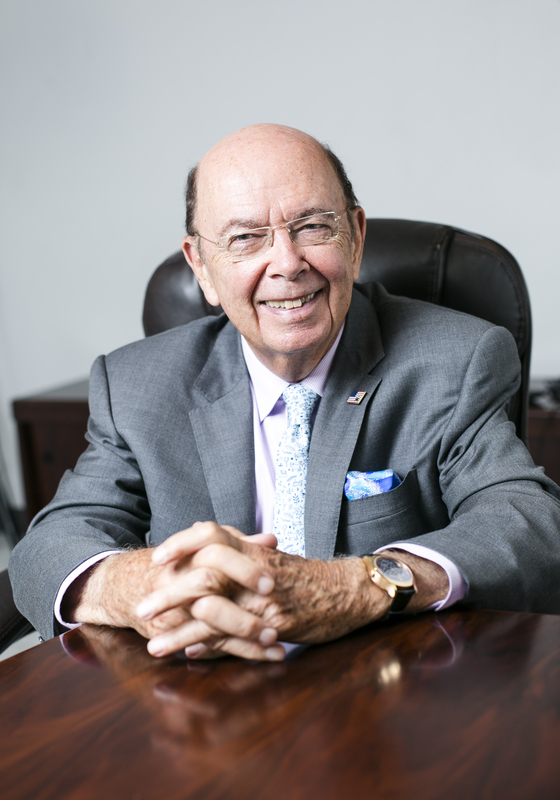 Wilbur Ross Jr. is the chairman and chief strategy officer of WL Ross & Co., an investment management company which is part of Invesco. Before founding WL Ross & Co. in 2000, Ross worked for Rothschild Investments as a bankruptcy adviser and private equity manager. Ross holds a B.A. from Yale College and an M.B.A. from Harvard Business School.